The number of primary feathers in a bird’s wing has been used as a systematic character since the first half of the nineteenth century. During the years, though, the definition of which feathers to count as a primary has changed and today the species historically denoted as having only nine primaries are instead said to have, for example, nine ‘functional’ primaries. In this study, I investigated the borderline between ‘nine-primaried’ and ‘ten-primaried’ birds to search for a proper definition of the term ‘nine-primaried’. A total of 161 specimens of 104 bird species, mainly passerines, were examined. All species examined had ten primaries although the ‘nine-primaried’ species had primary ten more or less concealed under primary covert nine. 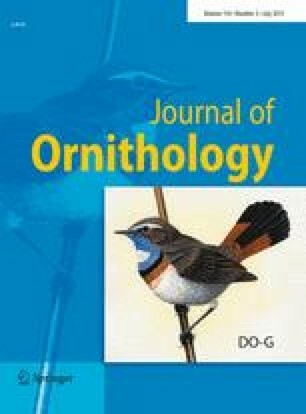 The number of primary coverts has decreased over time, with ten primary coverts as the ancestral state within Passeriformes and nine primary coverts among most oscine species. In conclusion, a proper definition of ‘nine-primaried’ might be “with primary ten concealed by primary covert nine”. This definition includes all taxa historically denoted ‘nine-primaried’, i.e. systematically it is a definition of a paraphyletic group. The term ‘nine-primaried’ is thus too inclusive to be of more than very limited systemtic value and, consequently, the New World nine-primaried oscines group might gain from a new denotation. The majority of the birds examined came from the Swedish Museum of Natural History, Stockholm but some birds were provided by Tovetorp Zoological Research Station, Stockholm University. I am grateful to Michael Diemer, Thord Fransson and Rinse Wassenaar for help with translation of the German sources, and to Peter Mortensen, Ingrid Cederholm, Anders Hansson, Erik Åhlander and Olavi Grönwall for help with practical matters during my work in the bird collection at the National Museum of Natural History. I am also indebted to Per Ericson, Thord Fransson, Birgitta Tullberg and Walter Bock for valuable comments and support during the process of writing this manuscript. Finally, I would like to thank Ulf Johansson for several years of discussions around this topic.